When we went to bed on Tuesday, November 26,th our main concern was Reagan being discharged from the Children’s Hospital in Greenville. On Monday she had her ureters re-implanted into her bladder, and our prayer was that we could all be home by Thanksgiving. Early Wednesday morning Alicia left the Greenville hospital and went to Spartanburg Regional to see her doctors at the Maternal/Fetal Medicine office. 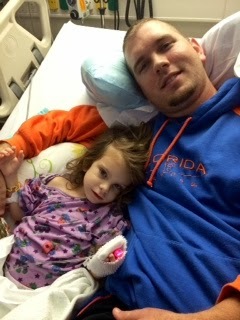 I stayed with Reagan, and her doctor came in and said he would like her to stay one more night. I crawled in the bed with Reagan and turned on the new Sophia the First movie, and when I looked out the window a heavy snow had begun to fall. “It’s going to be a good day,” I thought. Reagan was feeling better and we had nothing to do but relax and enjoy the snow. That was the text message I sent to Alicia. I began to record the snow falling on my phone as I awaited her response. The response I received was not at all what I expected. Instead of a text, she called, interrupting my video. “Are you ready for this?” she began. “We’re having a baby today.” She went on to explain how her amniotic fluid was too low and that the doctors said she needed an emergency C-section. I was excited to know that I would be meeting my son shortly, but my first thought was about my daughter: how could I be in two places at once? After hanging up the phone I ran out to find Reagan’s nurse. I told her she needed to call the doctor, that Reagan needed to be discharged. My next call was to Brad, my pastor and boss. I told him something that made me sound like I was in junior high school: I need a ride. We arrived in Greenville in one car, and now that car was in the hospital parking lot in Spartanburg. Alicia was being admitted into the Labor and Delivery Unit, so she wasn’t coming back to get us. Brad told me not to worry about it, and that he was on the way. 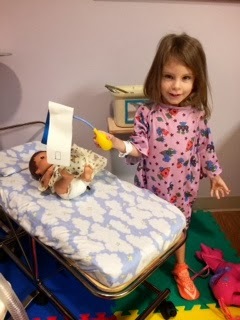 The nurse came in and took Reagan’s catheter out. “If she uses the restroom, she can leave with you.” After a quick pep talk we made a successful trip to the bathroom, and the nurse went to draft the discharge papers. I quickly packed up our hospital room and got Reagan dressed. In the meantime Alicia told me that her surgery was scheduled for 12:30, which would hopefully allow me time to make it there. Alicia’s doctor had his last patient scheduled for noon and then he was heading off for Thanksgiving, but he generously agreed to stick around for us. I got the call that Brad was five minutes out right as the nurse came in with the discharge papers. I signed them, gathered our bags, and carried Reagan downstairs. 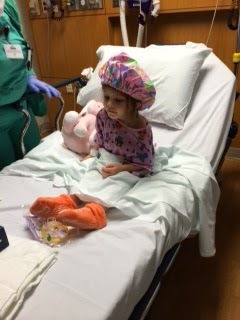 We rushed to Spartanburg Regional, and about ten minutes after I arrived at Triage, Alicia was taken back to the OR. 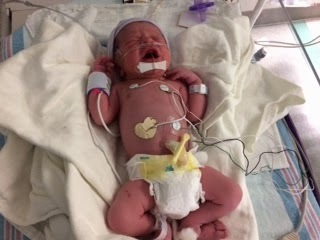 Forty-six minutes later our son took his first breath outside the womb. He weighed 5lb 6 oz. and was 17 ½ inches long. Thomas Charles Mann, Jr., or “T.J.,” was not due until December 26th, making him 4 weeks and a day early. 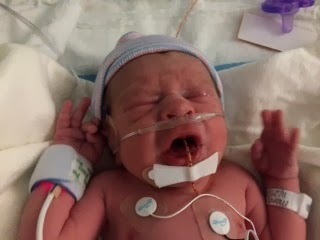 We thought he would be a Christmas baby, not a Thanksgiving surprise. T.J. was taken to the NICU shortly after his birth, with is common for preemies. He was having a little trouble breathing and needed to receive oxygen for a few hours. As of right not he is still there because he will not eat, so we are praying that he learns to take his bottle soon. 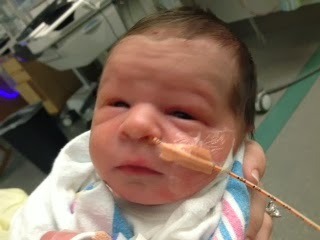 He also has reflux, so we are praying that he will keep down the food that is administered through his feeding tube. While we wish we could take our son home with us right now, we are trusting God. The events of Wednesday showed that God’s sovereign timing was at work through it all, so we are keeping our faith in Him still. Over the years I have been able to partner with pro-life organizations to help spread the message that life in the womb is precious, and I have also been able to work in assisting mothers who choose to keep their babies. But one area of concern for me has been ministering to those who chose abortion. Aside from one chapter in Asleep in Heaven’s Nursery, I haven’t done much to help those who are hurting and haunted from a past choice. Last week I had the opportunity to invest in a Christian based post-abortion recovery group so I jumped at the chance. The lady leading the group needed $60 to buy materials, which, because of book sales, I was able to cover. Fewer than 24 hours after I wrote the check, I was handed another check. This check was a $70 donation to the ministry. 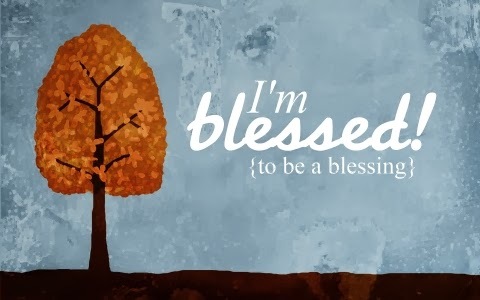 I was amazed at how quickly God gave a return on the investment! This event served as a reminder that when we give, it will be given back to us, good measure, pressed down, shaken together, and running over (Luke 6:38). This little ministry is small, but I am amazed that God has used it to do big things. Thank you for your donations and support; in addition to our other ministries, they are now helping women heal from past mistakes. 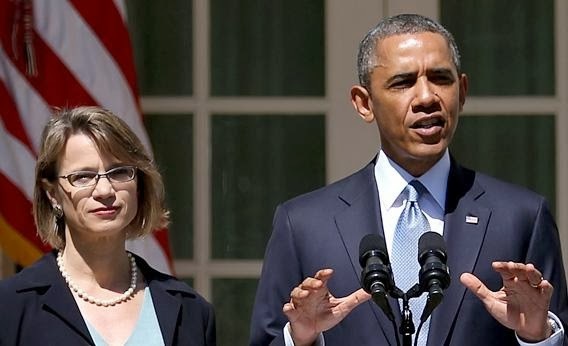 The Senate will vote this week on President Obama’s appointment to the D.C. Circuit Court of Appeals. Members of the pro-life community have labeled this nominee “the most liberal judicial appointment ever.” Ms. Pillard is staunchly pro-abortion and anti-abstinence education, and she is close to receiving a lifetime job on the second most powerful bench in the world. She has also denied the reality of ultrasound technology in showing the early development of the unborn. She referred to this evidence as “deceptive images of fetuses-as-autonomous beings.” Is this a person we want on the bench? She is either that ignorant of simple science or else she is dishonest about the results. On the issue of abstinence education Pillard is equally extreme and irresponsible. She said she would declare abstinence education as unconstitutional because curriculum is “permeated with stereotyped messages” (which is a stereotyped message). She obviously believes that abstinence education does not work, which is further proof that she is not fit for her potential position. As chairmen of Union County’s Comprehensive Health Committee, I have previously posted how well abstinence education has improved our area. If you are concerned that someone this radical might be approved for a lifetime appointment, then contact your Senators ASAP and urge them to vote against the confirmation of Cornelia Pillard. Let this also serve as another reminder that elections have consequences. I often hear that Roe v. Wade is the law and a President cannot change that. That is true, but these appointments show the power that each President has, so make sure that your vote is always for someone who will protect life in the womb. Ken Davis is a best-selling author and speaker, and in his new book he shares some of the tips that have made him one of the nation’s best at giving talks. If you desire to improve upon your public speaking skills, then this book is a must read. I put the SCORRE method into use when writing a recent sermon, and I was amazed at how Davis’ pointers added to the message. Ken Davis is naturally funny, and he is able to do what I often say is very difficult, and that is making humor work through the written word. Davis admits that much of humor depends upon timing, facial expressions, gestures, and voice inflection, but this book is funny without any of those elements. Davis teaches the reader how to use humor in public speaking. This book will give you confidence in yourself, and it will also show you things to work on. For example, are you a pocket lover (someone who keeps hands in pockets while on stage) or a prisoner (someone who keeps their fingers interlocked at waist level)? Are you a sweeper (someone who scans the room quickly but never makes eye contact) or a bird watcher (someone who looks at objects on the wall instead of people)? This book will walk the reader through the whole process of public speaking, from the first thoughts about your topic until the delivery of the message. 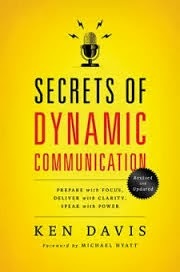 With Ken Davis’ help, you too can be a dynamic communicator. I received this book free from Booksneeze in exchange for an honest review.